These are deep yet common questions most of us ask during the seasons of our lives. Embark on the liberating journey of discovering the 'me' that God designed you to be, while discovering the true beauty and loving nature of the God who designed you. The journey is transformational, inspirational and powerful, impacting and bringing freedom to every facet of life. 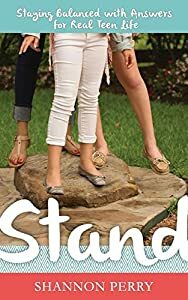 This is the story of one woman's journey of redemption and discovery of who she is really designed and destined to be in God's story. You will be inspired as she shares her discoveries and victories through some very powerful words and promises that God speaks over each of us. This is her journey towards that perfect peace with God, as she captures what Romans 12:2 means to her - the renewing of her mind while proving the will of God. We are invited to welcome these promises into our lives and to start looking at ourselves through the promises and designs God has for us, instead of how we so often see ourselves. 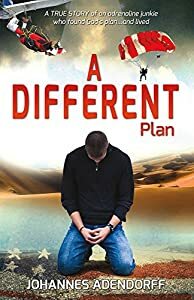 Written in an appealing conversation style, and you will feel connected and comfortable while intimately talking about real life experiences, trials and overcoming, seeking to believe God's promises and to see the truth of His word for you and me. Jennifer Zimmer is here to show you how! Do you feel like your life has been completely derailed? Are you trapped in a distressing situation that you didn’t necessarily sign up for? Do you struggle with chronic health issues no matter how well you eat? Is despair threatening to become a permanent fixture in your life? Do you feel alone, like no one really understands you? If this sounds like you, then you're NOT alone. Jennifer Zimmer knows exactly how you feel. At the age of 36, Jennifer's beautiful life in paradise came crashing down around her. Through her husband’s four-year battle with a debilitating illness and a stress-induced health crash that her doctors had no answers for, Jennifer’s life became her own personal nightmare. Drowning in hopelessness, Jennifer decided to make a change that would lead her down a path of reclaiming her hope and health even through the loss of her husband. 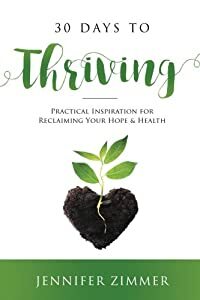 In 30 Days to Thriving, Jennifer shares with you her own personal journey through adversity and reveals the key mental, physical, spiritual and emotional coping strategies she enlisted to finally THRIVE even while her challenging circumstances didn’t change. * Find an anchor that is strong enough to firmly hold you through any storm. * Take practical steps out of despair and into a life of hope and health. * Reduce the damaging effects of stress through diet, lifestyle and mindset shifts. * Defeat depression by stimulating the release of happy hormones in the brain. * Grow through adversity and thrive in areas you never dreamed possible. * Section One: Jennifer's personal story of trauma and loss and the moment it all turned around. She explains the importance of Primary and Secondary Foods, a key concept coined by Joshua Rosenthal, the founder of the Institute for Integrative Nutrition. * Section Two: A 30-day guide to a complete holistic makeover. Jennifer takes you step-by-step through a series of lifestyle, mindset and nutritional shifts that, when practiced consistently, will gradually lead you down the path to a thriving life. You can expect to find anything from simple ways to release stress-busting hormones, such as endorphins and dopamine, to easy recipes for essential oil blends that will allow you to safely begin your own aromatherapy practice at home. And that's just the beginning! 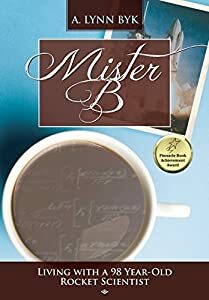 * Section Three: Jennifer introduces her readers to seven of her thriving friends, all women who have touched the depths of heartbreak and despair only to come through the other side with their hope and health in tact. Each woman describes the specific tools that got them through their own personal storms. Hospitality has been practiced by the people of God dating back through the entire Old Testament (Consider Abraham and Lot). Today, many of those practices are still in place throughout much of the Middle East. God, however, has called the whole church to participate in Kingdom hospitality. In fact, it is an integral part of the culture of the Kingdom of God. Kingdom hospitality encompasses much more than simply hosting people out of the kindness of our hearts. 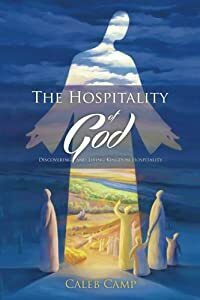 This book is a journey into the heart, attitude and mindset of the hospitality of God and the beginning of a life of Kingdom hospitality. Through an exploration of Scripture, culture and calling, you'll discover the beauty of Kingdom hospitality and its importance in the expression of our Christian faith. Do you try to fill an emptiness in your being with activities, substances, or unhealthy relationships? If so, then this book is for you. 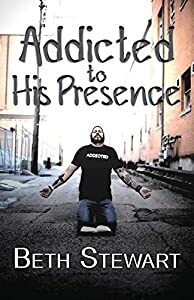 Unlike other books that focus on the physical side of addiction, "Addicted to His Presence" addresses the spiritual side of addiction and gets to the root cause of the problem. 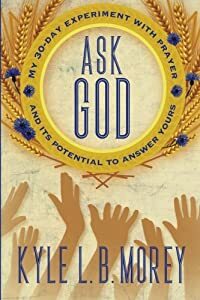 The bottom line is that the only healthy addiction is being addicted to God’s presence, and this book shows you how to find it and keep it. An exercise in devotion. A demonstration of love. Many books impart valuable information, it’s the rare book that can evoke experience. This is one of those rare books. 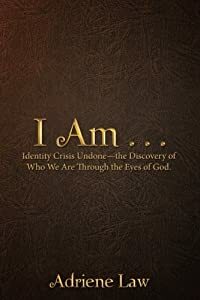 Author Kyle Morey writes from his heart so his words inspire as well as inform. He is so deeply immersed in his faith, that the essence of it transmits from the page to the reader’s heart. What he set out to do was write for 30 days what he believed God was telling him to tell the reader. He wanted to be an agent for God, not an authority on God. After his daily warm up of praise through hymns, prayer and scripture reading, he asked God to guide him to what the reader—whoever she or he might be—wanted or needed to hear that day. The result is a conversational, often funny, always sincere revelation of spiritual reality as Kyle knows it and lives it. It could have been easy for someone who walks the talk as Kyle does to appear holier than thou. He never does. It could have become preachy, but it didn’t. And it might have appeared contrived or become gimmicky, but it is obviously genuine and authentic. While deeply devotional in nature, the book is, at the same time, methodical, almost scientific, in its approach to self-awakening to the loving presence of Christ. It offers easy-to-follow steps to awareness readers can apply in their own lives. Some may be challenging while many are as simple as remembering to bless someone with a smile. All produce positive, uplifting results. It is fitting that the book concludes on the theme of forgiveness as a powerful practice and with a blessing that comes through Kyle, but the source of which you can decide for yourself. It is a book for those of any faith, of little faith, or of no current faith but who hold a curiosity about what it might be like to live with God as a constant companion. It is a book that can be read a chapter at a time for 30 days or savored for a year or a lifetime. In the end, it is a labor of love and service—and it was written for you. Did you know that you have a huge inheritance and that you serve a King who exposes His plans, purposes, power, and deepest secrets to you as a citizen in His Kingdom? 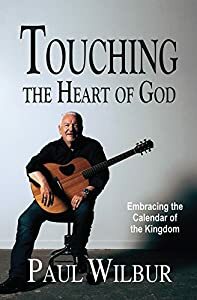 In Touching the Heart of God you will learn about this King and His Kingdom—its order, its benefits, and the privilege afforded to its citizens in celebrating the greatest military and spiritual victories in recorded history. The God of all creation actually keeps a calendar that celebrates His activity in the history of mankind and encourages our participation in the feasts. Whether you are a Messianic or Gentile believer in our amazing Messiah, you will find new and empowering insights in this book, which will build your faith and provoke your participation. Don’t you wish someone would’ve taken the time to teach you money-management concepts at a young age? Think for a moment what your life would be like. How important would that be to share with your child or grandchild? The unfortunate reality is the absence of financial literacy at home and in our schools creates a society filled with victims of the consumer culture, bound in debt, and working well beyond retirement age – not because they want to, but because they have to. Today’s youth face a future of similar obstacles because they are learning financial concepts and practicing ideal money-management habits too late in life. This easy-to-digest playbook provides guiding principles and practical activities to teach school-age children, kindergarten through high school, money management concepts and a critical life skill they should adopt as they begin to understand money. Each activity is designed to enforce a key money habit and are easy and fun to implement. As parents, you can break the chain of poor money habits so your child will never face mounds of consumer debt or the dreaded paycheck-to-paycheck living. You can develop your child’s financial intelligence and establish a foundation for your son or daughter to build wealth simply by practicing five money habits. This book is for the intentional parent who understands the importance of learning money management and wants to give their child the headstart they deserve. 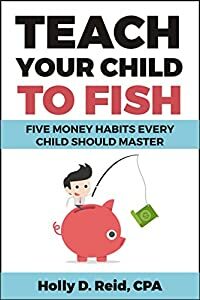 Teach Your Child to Fish masterfully condenses the more important elements of money management into bite- size chapters that are easy to understand. This resource helps you establish an open dialogue about money with your children, turns everyday errands and chores into a money lesson and introduces the building blocks for a healthy financial future. No one is born knowing how to fish. They must be taught and instructed. Similarly, once your child is taught the rules and given the tools for money management, they can be used for a lifetime. Follow the advice and complete the recommended activities in this book and notice how quickly your child begins to practice what they’ve learned about managing money. What’s stopping you from turning your daily interactions with your child into money lessons they will use for a lifetime?